​A race incident ended a promising first race of the Swedish GT season finale weekend at Mantorp Park for the Polestar Cyan Racing duo Néstor Girolami and Prince Carl Philip. Girolami had qualified seventh despite not having driven a single lap in dry conditions at Mantorp Park prior to qualifying and was involved in a fight for sixth position with championship rival and Audi R8 driver Jan Brunstedt when the two made contact, ending the race. “I had a good start and was faster than Brunstedt in front of me. I went on the inside of him but he tried to close the door and we made contact, ending the race for both of us. It was an unfortunate incident but the positive thing was that we were quicker than Brunstedt,” said Néstor Girolami. Prince Carl Philip is third in the championship, just two points behind Brunstedt, with one race left. ”This was obviously not the way we wanted the race to end. But the point difference between me and Brunstedt remain the same for tomorrow and while I will start four positions behind him, just as Néstor said, the promising thing for tomorrow is that we have the pace on him,” said Prince Carl Philip. While the Ferrari duo of Fredrik Larsson and Ingvar Mattsson has claimed the title, the fight for the silver medal remain wide open for the race tomorrow. ”Incidents like these are part of racing sometimes. 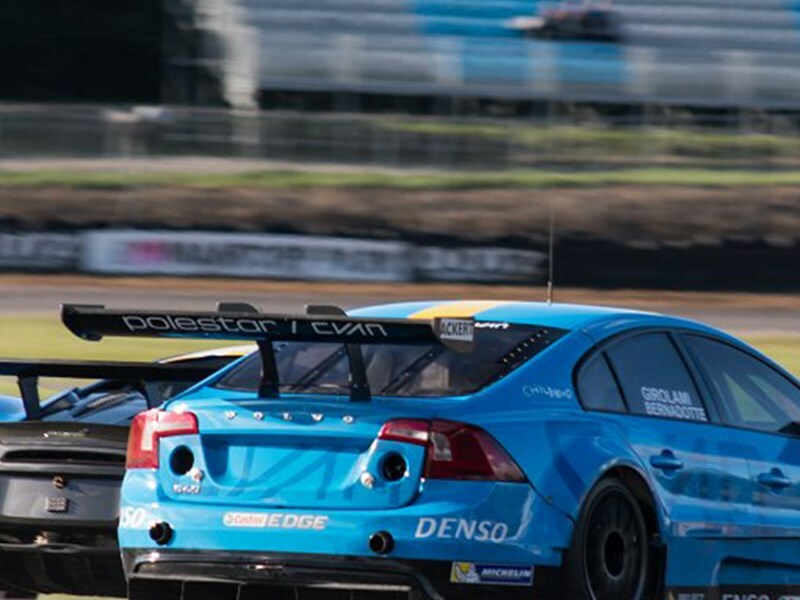 We will never give up, the team is in full swing to repair the car ahead of tomorrow when our ambition is to climb to second place in the championship,” said Alexander Murdzevski Schedvin, Head of Motorsport at Polestar.